Check out all of the Terra-Timed events below! If you are interested in learning more about Terra Running Company race timing and management services, CLICK HERE. 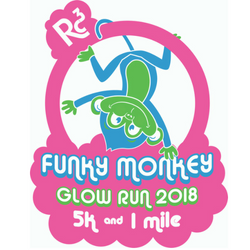 Join the Rhea County Community Center for the Funky Monkey Glow Run at 6pm! 5K: Medals will be given for 1st, 2nd, and 3rd place overall male and female,1st place in each age category (13 and under, 14-19, 20-29, 30-39, 40-49, 50-59, 60+), and overall male and female Master (40+). (Overall winners are pulled out of age groups so only medal once.) 1 mile: Top 3 boys and girls 12 and under will receive a medal in the 1 mile event. The top 3 men and women 50 years old and over will receive medals. We will have door prizes and additional prizes for winners. All proceeds go to Rc3's Strong Kids and Families Campaign which funds financial assistance for all Rc3 programs and memberships! Walkers and strollers are welcome! Join Rinngold Telephone Company on October 6th at 4:00 p.m. for the General 5k. The race will begin and end at Clark Park (Robin Rd.) in historic downtown Ringgold, GA. In addition to your event t-shirt, your race entry will include free food and beer at the finish line. Best of all, all proceed benefit the Evitt Foundation, promoting child welfare and education. The Lula Lake Land Trust 5 Points 50/25 is Chattanooga’s Ultimate Endurance Mountain bike race presented by Roost Raing. Racers will enjoy a grueling course packed with single track, climbs, downhills, rock gardens, and smooth flowy trails through the 5 Points Trail system, Lula Lake Land Trust, the Cloudland Connector Trail (including the 6.5 mile Long Branch/Nickajack section) and private property. Post race activities include camping, music, vendors, food and more. Run For Her Freedom is a 5k night race and 1 mile walk to IllumaNight Human Trafficking and bring awareness to the reality of it in our community. Join us on Saturday, October 20th, at The Greenway Stage on Raider Drive at 6:00pm for the race/walk followed by an amazing and unforgettable after party! Let’s IllumaNight the evening as participants are encouraged to light up the night with your outfits, to be creative, have fun and join us in supporting Human Trafficking Survivors! As you cross the finish line, awards for race groups, costume creativity and a special guest speaker will be followed by Worship and a Stunningly Unforgettable Candlelight Ceremony You will not want to miss! Come-Join Us- In bringing light to the darkness to End Human Trafficking. Come-Shine your light- For Her Freedom. Celebrate Thanksgiving with friends at the only local Thanksgiving Day race! Join us for the 3rd Annual Cleveland Thanksgiving Day 5k and earn your turkey and pie! The first 300 registrants will receive a warm Thanksgiving Day 5k beanie hat and all registrants receive a famous Terra Running Black Friday bounce back prize! We’ll also be collecting canned food for the United Way! Join us on the trails for a full marathon (26.2 miles), half marathon (13.1 miles) or a "Half-Half" (~6.5 miles) run. Unique finisher medals, cool weather, awesome aid stations, and even more awesome trails will make this a great event. Perfect timing for a training race for any spring marathon or half marathon! Get off the pavement and conquer the trails! Join Junior Auxilary of Cleveland for the Melissa Huggins Jones Have a Heart, Give a Sole 5k at the Cleveland Greenway on Saturday, March 17, 2018. All proceeds support their effort of purchasing shoes for local needy children. Join Lee University for the 18th Annual 65 Roses 5k! Last year, 65 Roses surpassed the $1 million mark raising funds for the Cystic Fibrosis Foundation! The beautiful and fast course goes through Lee University and downtown Cleveland. Join us for the Cleveland Half Marathon & 5k in Cleveland, TN. This race sold out in its first year, so be sure to get your spot early! The race courses will showcase some of the best areas of our town, including the historic district, Lee University, the Greenway, and more! Run or walk in our first ever RFL 5K and honor someone you love that has fought cancer! Your race SWAG will include a luminaria, which you can create in honor of or in memory of YOUR personal cancer hero. After the race, join us to honor this group of brave people in the CHS Raider Stadium. Let's "Light the Night" and fight cancer together. Running for our Children 5K race is is being hosted by Cleveland/Bradley Co., Tennessee Emergency Services First Responders. Our goal is to raise money to assist in providing some of the underprivileged children of our community a better Christmas! All registered participants are invited to a pancake breakfast following the race, and non-participants can purchase food tickets for $5. The City of Cleveland is hosting its third annual Cleveland Recycles Run on Saturday, June 9, 2018. The goal of this event is to raise awareness about the benefits of recycling and reduce litter in our community. This year's selected course takes you to downtown Cleveland. The course provides a scenic route through the heart of our city. The Bear Claw Trail Race will take place at Johnston Woods Retreat Center in McDonald, TN. Enjoy the 4 mile or 8 mile race on the beautiful trails at Johnston Woods. 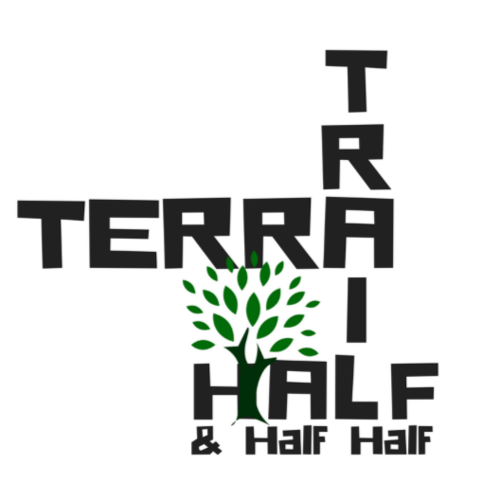 This is a great beginner trail race! 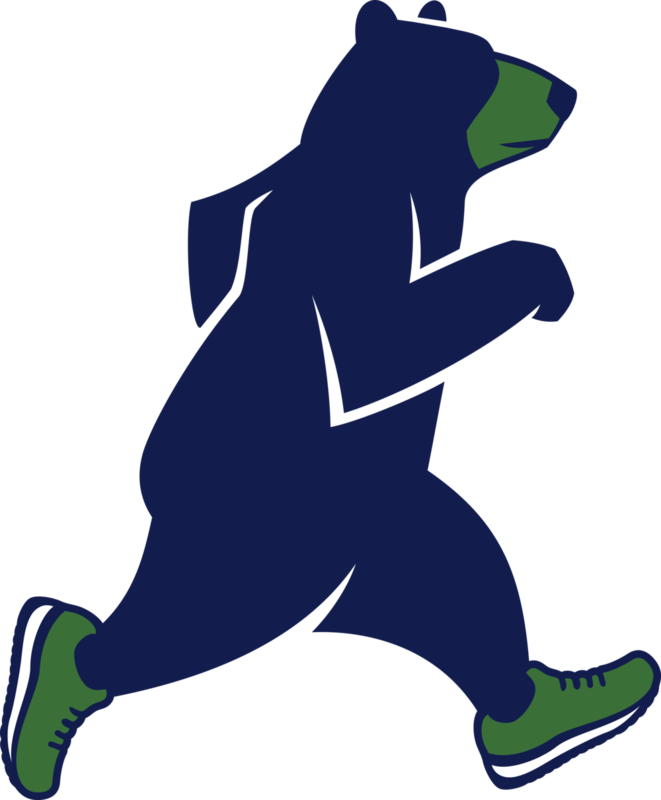 Registration include a one of a kind race t-shirt and all finishers get a Bear Claw pastry at the finish line! The Guthrie Farm Pumpkin run will take you through the farm, fields, and trails at the Guthrie Pumpkin Farm in Riceville, TN! This unique off-road 5k will give you a tour of the beautiful farm and get you excited for fall! All registered participants get FREE admission to the Farm on race day! All proceeds are donated to the Ronald McDonald House in Chattanooga. Volunteers in Medicine 5k will be held at Camp Jordan on Saturday, May 19. Race start is at 7:30 AM. Registration price is $35 until April 30, $40 from May 1-May 19. All racers will receive a customer finishers medal and a ticket to J-Fest! 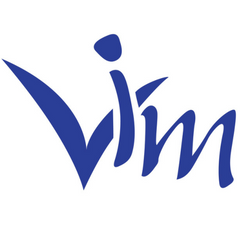 Volunteers in Medicine, Chattanooga, Inc. (VIM Chattanooga) is a private, non-profit 501(c)(3) primary care clinic. Volunteer physicians and nurses provide free medical services to financially eligible adults who are uninsured. Join the festivities in Ducktown, TN at the 2nd Annual Mike Kimsely Memorial 5k and 1 mile walk. All proceeds go to the James Michael Kimsey Scholarship fund, helping Ducktown area students pursue higher education. Participate in one of western North Carolina’s best road races to help provide scholarships to area students pursuing higher education in the healthcare arena. Join Chickfila Keith Street in the first annual Cow K 5k at Tinsley Park. Dress up in your best cow costume and run 5k to raise money for the American Cancer Society. Free kids dash will take place right before the start of the 5k. Join the Family Resource Agency in Cleveland for the fourth annual We Give Hope 5k and 1 mile fun walk. All proceeds will benefit the Family Violence Program/Harbor Safe House. Run! Don't let Tall Betsy catch you! Don't miss this unique and fun Halloween celebration run/walk on the Cleveland Greenway. Haunt Zones will keep you entertained and spooked throughout the 3.4 mile fast and flat course. Join us afterwards for live music and food! 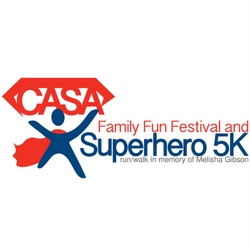 Come join CASA of Bradley and Polk Counties (a local 501c3 non-profit) for the Superhero 5K and Family Fun Festival in Memory of Melisha Gibson! Superhero costumes are welcomed and encouraged for this family-friendly event. Restoring Hope Outreach 5k will take place on East Main St in Downtown Blue Ridge on November 18, 2017. Race starts at 8am. Restoring Hope Outreach is a faith based 12-month residential outreach program that helps people with drug and alcohol addictions. Come run with the Bison! The Bison Stampede 5K/10K is a main fundraiser for the Station Camp High School football team. The course begins and ends at Station Camp High School, which is on Bison Trail in Gallatin, Tenn. It veers up the beautiful creek side road of Lower Station Camp Creek, which has a rich history, and enters the Station Camp Greenway. The course will U-turn and return back down the same path. This race will be a certified course with chip timing and runners will have no shortage of motivation and support through our highly enthusiastic football team throughout the course. Run the 5k at the BaCON Festival, a community event for the whole family, featuring our areas most delicious food focusing on bacon-related dishes, local crafting vendors and talented entertainment. Admission to the festival is free, and is from 10-5 the same day at Greenway Park. 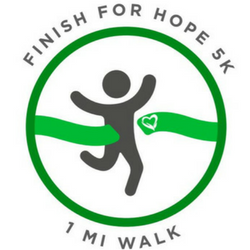 The Finish for Hope 5k is a fundraiser for Second Life of Tennessee, a Chattanooga area non-profit with a mission of ending human trafficking through prevention, policy, and survivor services. "We want runners of this race to know that the single most important thing a survivor needs is not a tangible need. It is hope. It is belief. Belief in themselves. Belief that they are supported by their community." Join Chatsworth Family Dental for the Dental Dash 5k and 1 mile fun walk benefiting Chatsworth area elementary schools: Chatsworth, Coker, Eton, Spring Place, Northwest and Woodlawn. 10K, 5K, and 1 Mile through the beautiful Sequatchie Valley. With your paid registration, you will also receive a free Saturday pass to Valley Fest. Information on the festival can be accessed at www.valleyfestonline.com. Saturday pass includes admission to a concert performance 7pm ct on the main Valley Fest Stage. Check website for concert line ups and scheduled activities. 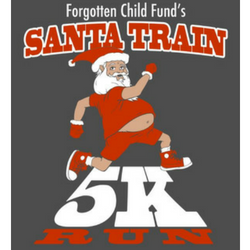 Join the first annual Santa Train 5k for Forgotten Child. This nonprofit organization gave over 12,000 kids Christmas last year, that live in the US101 listening area. They have had a few set backs in the past few months with a car running into the building. Help get them back on track. This is a 12 month organization, a lot goes on during months leading up to December. Support Junior Achievement of the Ocoee Region in the 2018 Race to Achieve 5k and 1 mile fun run! This is a certified, fast, flat 5k course on the Cleveland Greenway! The R(un) for One 5k and Fun Run supports (un)adopted®, Lifeline Children’s Services’ international orphan care ministry. Our desire is to manifest the gospel to orphaned and vulnerable children and equip them with the life skills needed to bring about community transformation.